there are also lower-detailed parked versions of playable cars, shall I upload them? sajmon14 wrote there are also lower-detailed parked versions of playable cars, shall I upload them? I'd say post them on the main car's page, in the comments, for now, just to be safe. can somebody add Juiced Eliminator for PSP? When playing this on PS2 I noticed in the junkyard there were a few semi-rendered cars. Could someone have a look at these. I swear I saw a Peugeot 309 in there. 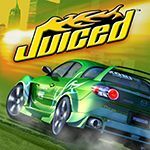 "Juiced was first under development as Lamborghini, with an official license, at Rage Software. The game was to feature the entire range of Lamborghini cars past and present, with help and assistance from Lamborghini's chief designers and technicians. Unfortunately, it was canned six weeks before release when the development studio collapsed. Out of the ashes of Rage’s Warrington Studio, Juice Games was formed. Meanwhile, the Lamborghini license had been snapped up by Electronic Arts for an unknown project, so the new team was forced to design a new concept for their near-finished game and turned to the street racing scene, ironically with a direct competitor of EA's Need for Speed Underground. Juiced was to be published by Acclaim. When the publishing company filed bankruptcy in August, 2004, the game was without a publisher, but relatively safe, as it was financed and managed independently by the development funding firm Fund4Games, which held all the rights. Take-Two made an offer, but Juiced was eventually picked up by THQ for $10.5 million. Although the game was considered finished - there even were some reviews - THQ decided to fine-tune it for another seven months. " That's interesting, hard to imagine that this could have been Lamborghini game. I'm happy it wasn't. I wish street racing games like this would be still made. Rockstar has stopped making Midnight Club, THQ is dead, Genki stopped making racing games, EA makes only supercar drifting and crashing NFS games. Forza Horizon and the upcoming The Crew are what I'd call street racing games - Horizon 2 will probably get announced this summer. In any case, I think a Lamborghini game would've been sweet - old Lambos other than the Countach don't get much love in games. I don't remember a Stealth in this game. Is it unplayable? I have the game and there is no Dodge Stealth in it. Maybe you mean the 3000 GT which is uploaded. You know something that was odd bout this game? The car colors. Orange and Pink. Neon green. Wow. Overall this game is amazing. I beat Biggie at so many pink slips he denied me when I asked to do pinks. thought this game got damaged and was RIP in pieces a couple of years ago. It loads. But when I go to race, it freezes. Burn Rubber wrote You know something that was odd bout this game? The car colors. Orange and Pink. Neon green. Wow. Overall this game is amazing. I beat Biggie at so many pink slips he denied me when I asked to do pinks. thought this game got damaged and was RIP in pieces a couple of years ago. It loads. But when I go to race, it freezes. Hey...it was 2003 or so when this game came out! Expect wierd colors and stuff. Actually, I like the pearlescent paints they had in this game. Sad your copy died...I think i'll get this game pretty soon. There is a beta version floating around that I've seen videos of, it seems to have a few extra cars, one of them I know for sure is an AC cobra. I don't know if anyone wants to go to the trouble of finding a beta version or not, but it would be neat to see how many cars got cut from the final. Quite possibly one of the worst cases of a good racing game that got no real attention. While the driving physics aren't amazing, They were certainly better than Need for Speed MW 2005's. The car tuning was simplistic, but it still gave you a large amount of options. The team system was okay, but felt unfinished. The game only had about 3-4 team members you could get. (One of which was really OP, but his chances of appearing were very low) where you can only have 3 extra members. So basically you could leave that last slot open in hopes of the rare guy showing up, or bite the bullet and take a poorly trained driver. The location was okay, but unrealistic. Angel City was fine and all, but the clear attempt to cram all racing track types into a small area was exicuted poorly. A random NASCAR style racetrack sits not a mile outside the city, a professional course sits a little farther away, but then you have a really small metropolis similar in size to the one seen in Power Rangers Dino: Force. Which is good for giant metal dinosaurs, but not so good for street racing. The map was crudely cut up into different sections. Some of which were layed out poorly. The map is probably the worst thing about the game. Another thing to consider is the possible developer oversight of being able to make the Viper unbeatable. By maxing out the performance, it could easily beat ANYTHING. As the rivals never tuned their cars to match that top level. Using this, you can abuse pink slip races to get cars easily, and win money without trying. Another thing about the game that was more of an annoyance than a bug was the Car Dealer. They had both new and wrecked cars, but they considered "wrecks" to be crashes and totaled if they so much as had a DENT in the panel... The game needed a median between wreck and new. Simply put, a Used tab for these dented cars. While the Wrecked section had all the heavily damaged ones. A good thing about the game was the progression. Unlike Gran Turismo, you couldn't grind early events, but a OL car, and wipeout everyone else. You had to rank up. The game modes were all good, but Showoff mode just never really worked for me. It always seemed like they were near the end of development and quickly slapped in a final gamemode. But don't forget the fact they called drag races sprint races, and sprint races point-to-point. Which bugged me a lot. Overall, looking past the small things, I give this game a solid 8.75/10. Okay. The damage slowly gets worse as you wreck more. Working irs way up from damaged neons to steering damage. I think this game takes place in 2006. You start on Sunday, January 1, that means it's 2006.
carcrazedalex586 wrote I think this game takes place in 2006. You start on Sunday, January 1, that means it's 2006. The game was made in 2005. I know, but that doesn't matter. Games are allowed to take place in some sort of a near future. I hope you realize the game has infinite amount of years... The calendar is meaningless to a time setting. Burn Rubber wrote I hope you realize the game has an infinite amount of years... The calendar is meaningless to a time setting. Oh yeah. Eliminator's probably the same, since there are different characters. The game needs virtual memory to be enabled. How do I get this to run on 10? Aginnon wrote The game needs virtual memory to be enabled. How do I get this to run on 10? I have Windows 7 and the game works with compatibility mode. Dunno about Windows 10. EDIT: There doesn't seem to be a compatibility mode on the game exe, but there is on the config. Damage system consists of basic visual damage + mechanical damage, neons will fail, nitrous will leak, turbos will get damaged, hurting your acceleration, and steering can get damaged as well, you might be able to total a car, but I've never seen this happen. The biggest one is that there is not a whole lot of upper end cars, a well known exploit in the game is to hold a tier one sprint(drag race), to which only 2 cars can possibly show up, the c5 corvette and the viper. Viper always wins. Fun fact, the 69 charger can make it into class 1 with prototype mods, but the ai will almost never do this, and it's not really competitive. Class 2 is almost the same thing, you have all 3 of the class 1 cars, plus the classic camaro, 99 mustang, and the 3000gt, with the game's physics engine, the 3000gt is practically the only drivable car at this point, other classic muscles and the newer EVO might be able to make it into class 2 as well, but I'm not sure. (If so they would need prototype parts and will just barely make it.) Class 3 gives you the skyline, falcon,monaro, and firebird, which is probably the highest class worth racing in, and then class 4 is where the supra, rx7, and the vast majority of high end japanese cars will fall. Long story short the vast majority of the car list is focused on class 7(200-299),6(300-399), and 5(400-499),and it is definitely more fun to race in the lower classes with cars that are much easier to control. I'm not saying they needed to add more exotics, I'm just saying, if they allowed the skyline, supra, evo, and 3000gt to be tuned up to class 1 it would be a bit more viable gameplay wise. Adding onto this is the inability to upgrade the transmission, this makes pretty much all the classic muscle cars, and the honda prelude (which is geared for like ~125mph), practically hopeless, combined with their rather difficult handling, winning a race with them is quite an accomplishment. seeing the ai use them, especially in a pinkslip race, almost always causes a sigh of relief. This isn't really a con, but it's kind of funny, the viper in this game, like nearly every appearence of a viper in a game from this era, is borderline undrivable, it's great for sprint races, but, otherwise, it's best to use the skyline, evo, or 3000gt, for circuits. Try to keep your best car around class 3. 2 if you can get the prototype parts for the 3000gt, and don't even bother with 1.